Start your Christmas shopping early at the Royal! The fair might be best known for its agricultural and equestrian aspects, but there’s also a giant marketplace that has holiday gifts, decor and more. 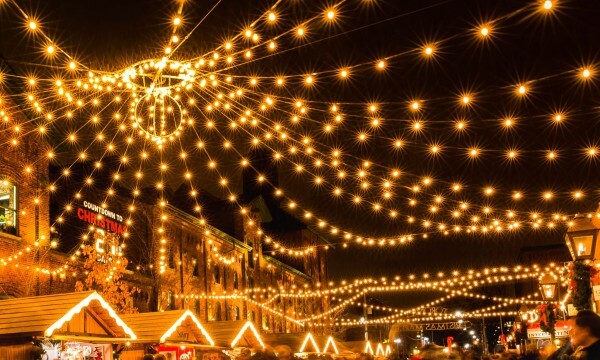 The Toronto Christmas Market in the Distillery Historic district is one of the biggest and most beloved events in the city! The European-style holiday market has the perfect atmosphere thanks to light displays and a giant tree, plus musical performances, vendors to shop from and all the food! Get some mulled wine and a turkey leg to enjoy while you peruse the Distillery District. Planning a holiday party this year, or hosting Christmas dinner at your place? Then you’ll want to get tips at the Gourmet Food & Wine Festival. The upscale festival has wine and spirits to sample, live demonstrations from top chefs, and a chance to learn all kinds of important tips and tricks in the kitchen. The Gardiner Museum’s annual holiday exhibit showcases 12 Christmas trees, all decorated within a theme by different artists and designers. The theme for 2017 is “let there be light,” and as you can imagine, it’s going be a bright display! There will be a disco ball tree, manually powered light displays and more. Yonge-Dundas’ holiday display will turn on after a free celebration! Illuminite kicks off with a live music performance from Jane’s Party, an acapella performance from Countermeasure and an LED drumlins from 416 Beats. Before the Santa Claus Parade kicks off, check out the Holy Jolly Fun Run! The 5km fun run takes runners through the parade route, right before the festivities kick off. If you’re not a runner, no problem: show up early to the parade and cheer on the athletes! The event raises funds for the parade itself, so it’s all going to a good cause. When Santa comes around the corner, you know the Christmas season has begun! The Santa Claus Parade features floats from local businesses, marching bands and performers, plus the man in red himself! The parade route goes from Christie Pits to Bloor, then down Avenue to Front Street where it ends at St. Lawrence Market. Christmas is coming! The Trinity Bellwoods Flea’s November edition is all about getting a head start on your holiday shopping, with vintage and handmade goods to purchase. Celebrate the holidays 1920s style at the Spadina Museum. The historic home is decorated for Christmas, with wreaths and mistletoe like families would have used decades ago. There are also holiday treats made from authentic period recipes and mulled cider. The Will Ferrell comedy has become a holiday classic, so it’s no surprise Elf has become the latest film to get the musical treatment. Elf sees Buddy, a human who grew up at the North Pole, leaving Santa’s workshop to explore New York City and find his real family. The Tony-nominated songwriters behind The Wedding Singer created the music. Santa’s busy this time of year, showing up at parades and events across the GTA! He’ll be at the Brampton Santa Claus Parade alongside floats and performers from across the city. The parade kicks off at Ken Whillans Drive and heads down Main Street to Elgin Drive. It’s rain or shine, or make sure to dress for the weather! The One of a Kind Christmas show is a massive Christmas shopping event, with 800 different vendors and artisans to shop from. It’s the largest consumer craft show in North America, with jewellery, clothes, decor, ceramics, fashion shows, workshops and more. You can cross everyone off your list with one day here! Ross Petty’s annual holiday pantomime is a Toronto tradition! This year, they’re putting a twist on A Christmas Carol with ghosts and ‘Ghostdusters’ facing off in London, Ontario. Add some new holiday traditions to your celebrations with the Swedish Christmas festival. The annual event brings traditional Swedish holiday music, food and celebrations right here to Toronto. There’s caroling, folk dancing and a marketplace with crafts, clogs and glogg! Drink up! Nathan Phillips Square is home to the city’s official Christmas tree, and it gets lit up at a special ceremony complete with live performances and a massive fireworks display. The skating rink will also be open for the season! Don’t forget your kids at home this year! The Toronto Symphony Orchestra and the Etobicoke School of the Arts Junior Chorus team up to bring the music of the favourite holiday film to life. The TSO will be performing the score, including the Oscar-nominated theme “Somewhere in My Memory,” live as the movie plays. Nathan Phillips Square is having a holiday fair this year! The event runs almost the whole month of December, and is similar to a Christmas market. There will be artisan crafts to shop, art to peruse and gifts to buy. 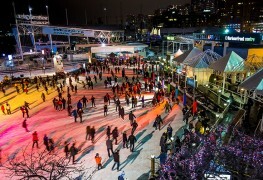 The skating rink is also open to use, and there will be food and drinks to enjoy. The Nutcracker has been a holiday classic since 1892. The famous ballet sees a brother and sister transported from their daily lives through magical worlds until finally they meet the Sugar Plum Fairy. The Tchaikovsky score is one of the most recognizable pieces of classical music around. The TSO performs the holiday classic Handel’s Messiah, with special British guest conductor Matthew Halls, and a selection of Canadian vocalists. The show only has five performances leading up to Christmas and often sells out, so see this moving performance while you can. What’s the holiday season without a little shopping? The Seasons Christmas Show has more than 300 exhibitors on site, with everything you’d need for the holidays: gift ideas, decorations, food and entertaining tips. There’s a market for handmade gifts plus workshops, demonstrations and more. Need a break from all the stress of the season? That’s what the Second City is here for! The annual holiday show will poke fun at all those awful Yuletide rituals, yes, including the ugly sweater contest. The Lower Ossington Theatre revisits the story of It’s a Wonderful Life through a live radio play. The story, based on the famous film, sees a suicidal man visited by an angel on Christmas Eve. The radio play is set in 1940s New York, with actors performing the story and the sound effects that you would hear on the radio. It’s a unique performance and it sells out every year! You’ll hear a lot of Handel’s Messiah over the holidays, but not quite like this! Ballet Creole’s production blends multiple dance styles, including tap, ballet, jazz, African-Caribbean and modern, into one unique performance. Quincy Jones’ version of Messiah provides the soundtrack. St. Andrew’s Church is hosting a dramatic reading of Charles Dicken’s A Christmas Carol, with Canadian celebrities providing the voice talent, including CBC broadcaster Mary Wiens and First Nations opera singer Marion Newman. In between readings, there will be choir songs and sing-a-longs, with gingerbread cookies and apple cider after the show. Donations will be collected for the Out of the Cold program. Based on the best-selling picture book, Fancy Nancy is a musical for kids aged two to 10. Nancy loves the elegance of Christmas, but things go awry when she tries to sell her old gowns and buy a sparkly tree topper. The holiday season is all about helping others, and that’s where events like the Santa Shuffle come in. The 5km fun run, or 1km “elf walk,” raises funds for the Salvation Army to help families in need over the holidays. Who said beer festivals are only for the summer? The holiday edition of the I Heart Beer festival will have plenty of local brews and ciders to sample, plus food trucks and Santa Claus himself. 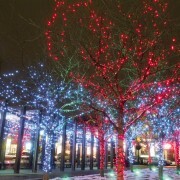 Bloor-Yorkville’s Christmas lights and tree go up with a special ceremony. Juno-winning singer Keshia Chante will perform, and there’s free gifts from Lindt chocolates and Starbucks. Global News meteorologist (and Are You Afraid of the Dark actor) Ross Hull will flip the switch and light up the neighbourhood. The iHeart Radio Jingle Ball is packing a lot of artists into one night. The Backstreet Boys headline the event, alongside Kelly Clarkson, Fifth Harmony, Post Malone, Fergie, Cardi B and more. Just because it’s winter doesn’t mean you can’t explore the outdoors! The Toronto Botanical Gardens is open for a festive outdoor adventure, where families can look for wildlife, hang bird feeders and make maple candy. Disney on Ice is a mainstay of the holiday season in Toronto. This year’s show is Reach for the Stars and it features all your favourite characters and songs: Frozen’s Anna, Elsa and Olaf, The Little Mermaid’s Ariel and Sebastian, Tangled’s Rapunzel and Flynn Rider, plus Mickey, Minnie and Donald. The TSO brings this family-friendly holiday classic back every year! The animated film The Snowman is played whole, while the TSO plays Howard Blake’s score live, including the song “Walking in the Air.” Tha Spot Holiday Dancers and Resonance Youth Choir are also performing. Allan Gardens’ Christmas Flower show is its biggest and best show of the year. The whole conservatory is filled with blooming plants, including 30 varieties of poinsettia and holiday-themed plant sculptures. The opening show also has carolers, horse and wagon rides, and hot apple cider to sip while you admire the sights. Toronto Comic-Con presents this one-day shopping experience for fans of all kind! Comics, toys, memorabilia, art and costumes are all available for sale, with comic industry pros and cosplayers on site for meet and greets as well. Todmorden Mills is transporting visitors to two distinct time periods: the 1890s and the 1940s. Guests can learn about holiday traditions from each era, take part in a craft workshop and enjoy festive treats made in the historic kitchen. The Toronto Mendelssohn Choir presents a night of holiday carols, performed alongside the Canadian Staff Band, the Canadian Children’s Opera Company and David Briggs on the organ. There will also be a chance to sing along to some of the iconic Christmas classics. Andy Kim’s annual Christmas Show has a killer lineup of Canadian musical talent. Hosted by Sean Cullen, the show will feature performances from The Sheepdogs, Ron Sexsmith, Hawksley Workman, Maestro, Choir! Choir! Choir! and more. Proceeds from the event will be donated to CAMH. Is there any more of a feel-good show than Annie? The heartwarming musical is a perfect show for the holidays. The Lower Ossington Theatre’s production sees Annie, a spirited orphan, leave behind her miserable orphanage to spend time with a benevolent millionaire, Mr. Warbucks, and try to track down her biological parents. Fort York celebrates the season with a 19th Century Frost Fair. There’s a market where you can shop for items by local artisans, watch performances and pop-up activities, and enjoy festive snacks. Have a traditional Christmas dinner from the Jane Austen era at Montgomery’s Inn. Dine by candlelight in front of an open fire on the authentic Georgian holiday table. Tickets for the dinner must be purchased by December 1. Meet Santa and eat brunch, all while on a cruise? Is there anything else a holiday event would need? Spend two hours sailing around Toronto Harbour enjoying a buffet brunch on the Santa Brunch Cruise. Yes, Santa is there! Everyone on the cruise gets a complimentary family photo with Santa, and there are crafts and other activities available for the kids. The Juno award-winning group are bringing their favourite holiday classics to the Sony Centre. 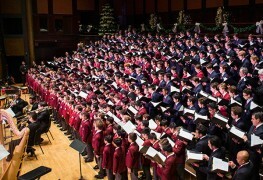 The Tenors, consisting of Clifton Murray, Fraser Walters and Victor Micallef, will perform iconic Christmas songs like "Have Yourself A Merry Little Christmas," "O Come All Ye Faithful," "Little Drummer Boy" and "God Rest Ye Merry Gentlemen,” which they perform a cappella with Johnny Reid. The Jewish Russian Community Centre of Toronto is taking over Mel Lastman Square for a giant Chanukah celebration! The first candle on the menorah will be lit, plus a fire show, live music and snacks like latkes and doughnuts. Grab your ugliest sweater and head out to the Ugly Sweater Cocktail Cruise! The cruise will have an ugly Christmas sweater contest and a Santa costume contest, where the most outrageous and tacky outfits win. There’s also a photo booth, DJ, food stations and cash bar. The cruise will last approximately three hours as it goes across the Toronto Harbour. Second City’s family-friendly holiday show is back! The puppet troupe perform Miracle on Mercer Street, the story of a girl visiting her grandmother for the holidays in a town that’s constantly fighting over different traditions. The show is suitable for all ages. ‘Herr Handel’ conducts this performance of Messiah, with you as the performer! The sing- along event gets the whole audience (divided by voice parts) to participate, with the Tafelmusik Baroque Orchestra and Chamber Choir providing the music. Brampton’s Rose Theatre is taking on the Christmas classic with an additional challenge: there will be no blackouts and the story is told continuously on a revolving set! Follow Ebeneezor Scrooge through the past, present and future on one fateful Christmas Eve, as he learns the true meaning of the holiday season. Yippie ki-yay! Die Hard is considered by some to be the best Christmas movie of all time, and for good reason. 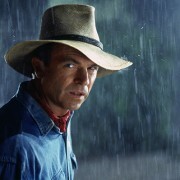 The action flick is a classic with a million quotable lines, and Hot Docs Cinema is ready to let you do just that. Say your favourite quotes along with the movie, enjoy festive drink specials and make sure to arrive early for the pre-show!